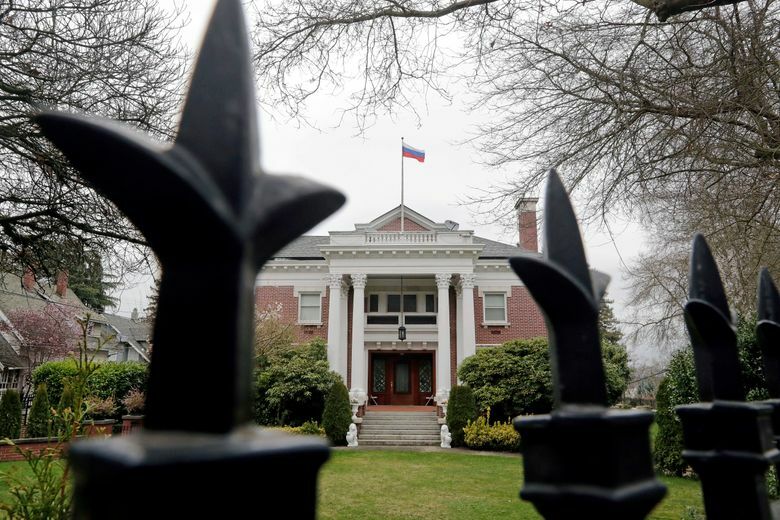 The 1992 opening of the Russian consulate in Seattle signified warmer trade relations — from flights to fish — between the Pacific Northwest and the Russian Far East. Those words resonated in the Pacific Northwest and Alaska, where citizen diplomats, entrepreneurs and state officials were already expanding ties with the Russian Far East, a huge expanse of territory — rich in fish, timber and oil — reaching from Vladivostok, close by China, to the Arctic region of Chukotka bordering the Bering Sea. By December of that year, there was a tangible sign of fresh progress. 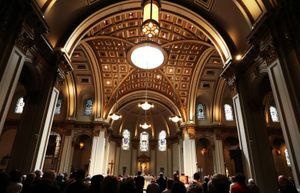 The first new Russian consulate in the U.S. of the post-Soviet era opened in Seattle, with a choir singing patriotic American songs at a ceremony in a packed hotel ballroom. 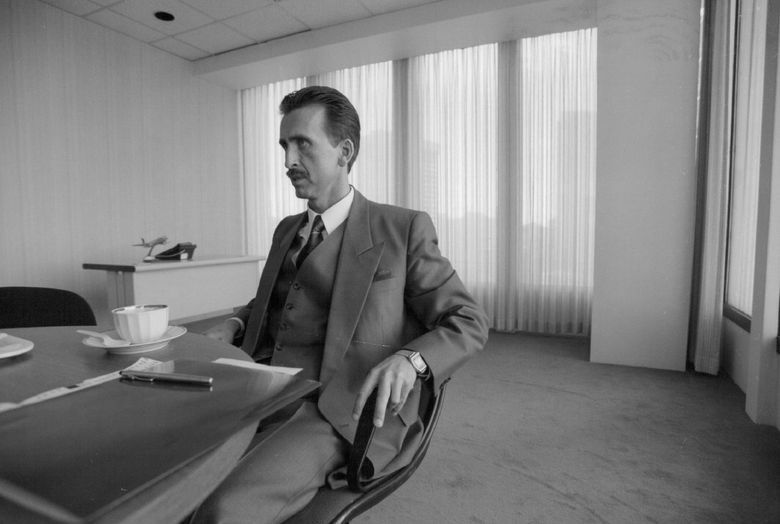 “It was a different time. It was exciting, and a lot of people were trying to make things happen,” said Carol Vipperman, who at that time headed the Foundation for Russian-American Economic Cooperation. 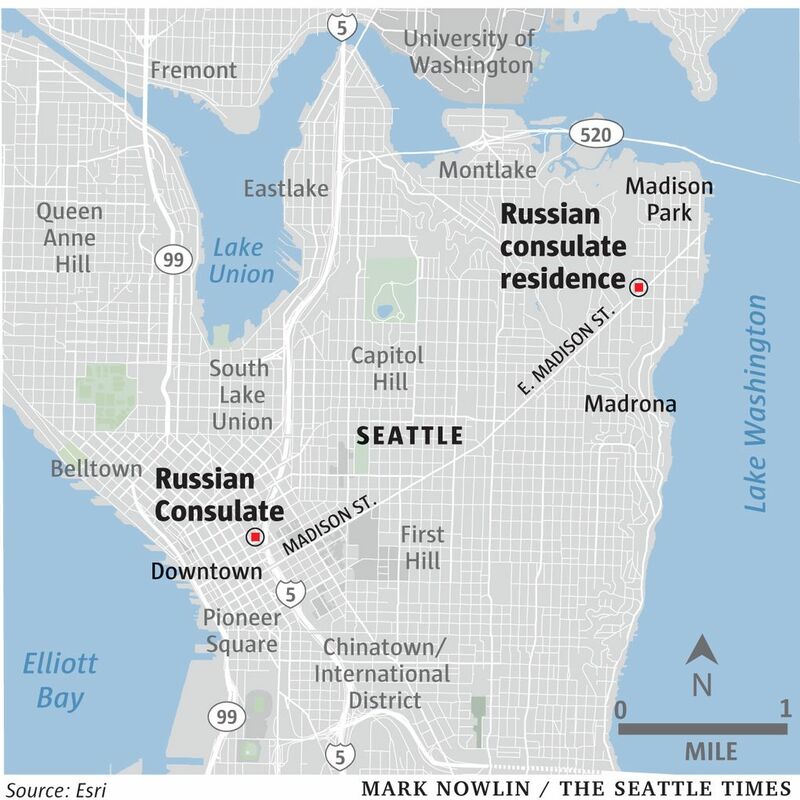 The Trump administration’s decision on Monday to close the Seattle consulate at 600 University St. comes amid a much darker era in U.S.-Russian relations, when many of the hopes in the Northwest for a democratic Russia, kindled during the Yeltsin era, have faded. The plethora of cultural exchanges between Alaska, Washington and the Russian Far East that marked the end of the Cold War have long since ended. Alaska Airlines helped pioneer aviation links with the 1988 “Friendship Flight” from Nome, Alaska, to the Bering Sea port of Provideniya. Alaska hasn’t scheduled service to Russia since the late 1990s. 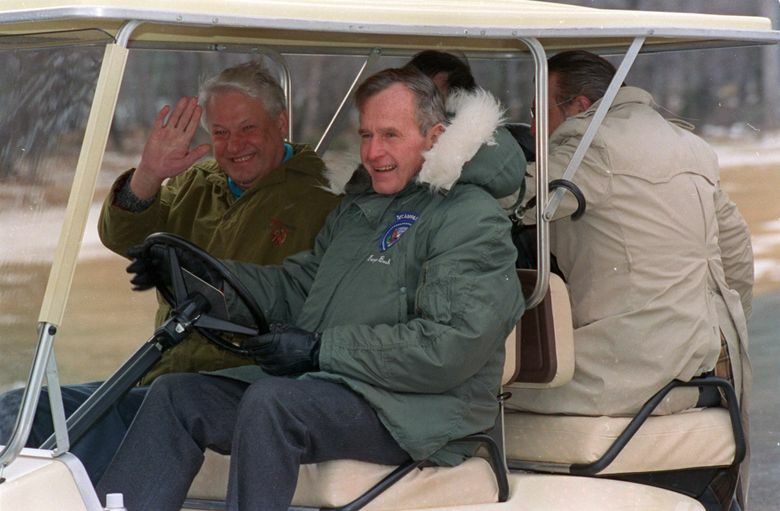 “There were a lot of pretty full passenger loads and they did pretty well,” said David Ramseur, author of Melting the Ice Curtain: The Extraordinary Story of Citizen Diplomacy on the Russia-Alaska Frontier. Joint seafood ventures also have gone by the wayside, and due to countersanctions by Russia, it is no longer possible to export some Northwest seafood products, such as salmon roe. The relations were damaged by the 1998 Russian financial crisis that devalued the ruble, dealing big financial setbacks to U.S. businesses that had invested in the Russian Far East. But the Pacific Northwest business community also grew more wary as they encountered Russian corruption. By the time Miller stopped publishing her newsletter, Putin had taken power, a move that was initially embraced by many U.S. politicians alarmed by instability at the end of Yeltsin’s presidency. In the Russian Far East, there still were encouraging signs. Roman Abramovich, a billionaire Russian oligarch who had made his money in oil, improbably became governor of the remote Chukotka peninsula, and in a 2001 visit to Seattle talked about buying food from Washington to help turn around the struggling province of some 77,000 people. Meanwhile on Sakhalin Island, Exxon Mobil moved ahead with a major joint venture to develop oil and gas resources in the Russian Far East that continues to this day and uses some U.S. support services. But over time, it became clear that Putin’s ascendancy represented a return to more authoritarian rule and a more mistrustful view of the West. And there has been some bipartisan support in Congress for closure of the Seattle consulate in the aftermath of the nerve-agent poisoning of a former Russian spy and his daughter, an attack linked by Western governments to the Kremlin. “In recent years, you have seen Russian far more aggressive in terms of the West — it is a fundamental difference than the dynamics in the ’90s,” said U.S. Rep. Derek Kilmer, D-Gig Harbor. He supports the closure and says more steps are needed to combat the threats that Russia poses in cyberspace and to the integrity of the U.S. election process. 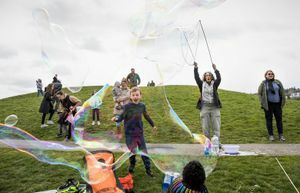 In Seattle, even as Russia’s relationship with the U.S. chilled, the consulate has continued to serve as an import hub, not only offering visa services, but also helping keep Americans and Russians talking to one another. There have been social gatherings in the Capitol Hill mansion that lodges some of the consulate staff, with guest lists that have included Pacific Northwest businesspeople, politicians and Russian émigrés to the region. The Russian consulate general, whose position typically rotates every three years, has also ventured out into the community. “I have had some consulate generals in my own residence, and very constructive relations with consular staff,” said Derek Norberg, president of the Seattle-based Council for U.S.-Russia Relations. Norberg continues to work on promoting cooperation between the Russian Far East and the Pacific Northwest. He is organizing a July conference in Anchorage that is supposed to draw government officials from both regions. But he fears that could now be at risk with the worsening relationship between the U.S. and Russia. The U.S. consulate in Vladivostok — a city once closed to American travelers due to military installations — was opened in 1992, in what was viewed as a reciprocal act for the opening of the Russian consulate in Seattle. But that consulate may now be closed in a countermeasure, potentially making it harder for Russians from that region to travel here. Norberg and Miller both say that, despite the setbacks in U.S. and Russian relations, it would be better to keep the Seattle consulate open.